Proposed airport fence threatens historic site of Japanese American resistance. The Tule Lake Segregation Center is recognized as the World War II concentration camp where thousands who protested the mass incarceration of Japanese Americans were punished for speaking out. 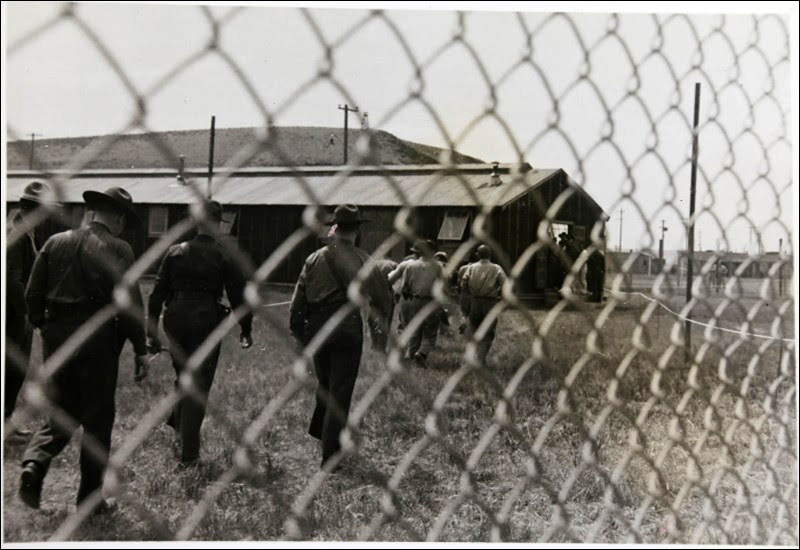 The maximum security camp housed the largest number of detainees (housing over 18,000 prisoners at its peak), stayed opened the longest and was the place where "troublemakers" from other camps were sent. Now considered the crucible for Japanese American resistance to incarceration during World War II, the infamous site is today preserved as a monument to one of our nation's darkest chapters. 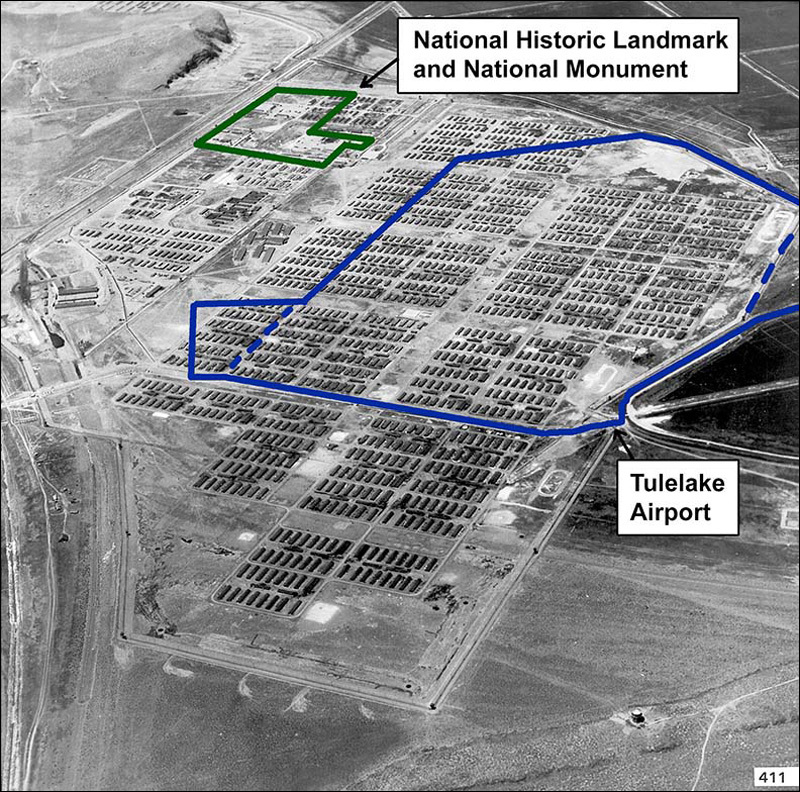 In 2006, Tule Lake was officially designated as a U.S. National Historic Landmark, the highest level of recognition for a historically significant property. In 2008, the site was dedicated as a National Monument. 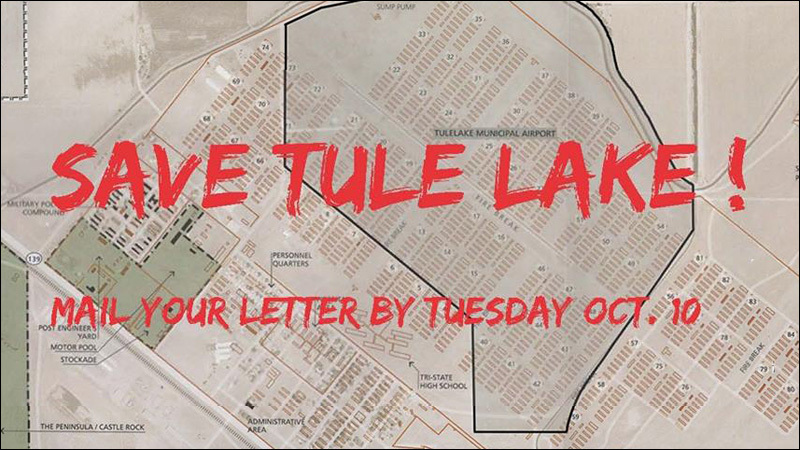 But now the physical and historical integrity of Tule Lake, located in Modoc County, California, is threatened by the potential construction of a massive fence, and community members are asking for your support. The Federal Aviation Administration is currently considering Modoc County's application to construct a 8-foot tall, 3-mile long fence around the perimeter of the Tulelake Municipal Airport, but would cut through the middle of the former segregation center, which is located approximately 1,100 feet from the airport. According to FAA documents, "...the purpose of this fence is to minimize the potential for aircraft-wildlife strikes (primarily deer), and minimize the potential for pedestrians and vehicles to inadvertently encroach on the airport's runway (pedestrian-vehicle deviations)." But Tule Lake Committee, which leads efforts to preserve the legacy of the Tule Lake Segregation Center, says that erecting the fence would effectively divide the site in half and make it inaccessible to Japanese Americans and other interested parties who want to visit the site. A fence would also significantly diminish the perceptive impact of Tule Lake's physical legacy as an incarceration site. "Many visitors to the site typically seek the location of the barrack where their family was assigned," the Tule Lake Committee explains in a statement. "They want to traverse the site to experience the dimension and magnitude of the place, to gain a sense of the distances family members walked in their daily routine to eat meals, attend school, to do laundry and use the latrines. They want to summon up the ghosts of the place, to revive long-suppressed memories and to mourn personal and collective loss." "Presence of a three-mile long fence in the very center of the Tule Lake site will impede such reflection," the statement continues. "Rather than being able to traverse the site, visitors would be confronted by a massive, intimidating fence built to let them know they are trespassers who are unwelcome and being warned away." The Tule Lake Committee is asking for your help. If you join them in opposition to the fence, they're asking you to answer this urgent call and send a message to Modoc County to show that the Japanese American community and wider American public cares about what happens to Tule Lake. Email or mail Mitch Crosby, Modoc County Road Commissioner, at mitchcrosby@co.modoc.ca.us before 5 p.m. on Tuesday, October 10 and tell him you oppose the fence. The subject line should read: TULELAKE AIRPORT PERIMETER FENCE PROJECT. Include your first and last name and address, as your letter won't be included as part of the official record without that information. I am writing to urge you not to build the proposed fence around the Tulelake airport. The plan will destroy the integrity of this historic site, desecrate the memory of those who were unjustly incarcerated there, and prevent the possibility of a respectful and dignified remembrance of a civil rights tragedy. Please do not build the proposed fence. You can also send a letter using this handy tool from 18 Million Rising. Of course, you can also share about the campaign to #SaveTuleLake to your social networks on Twitter, Facebook, Instagram, etc. For more updates, follow Stop the Fence at Tule Lake on Facebook.